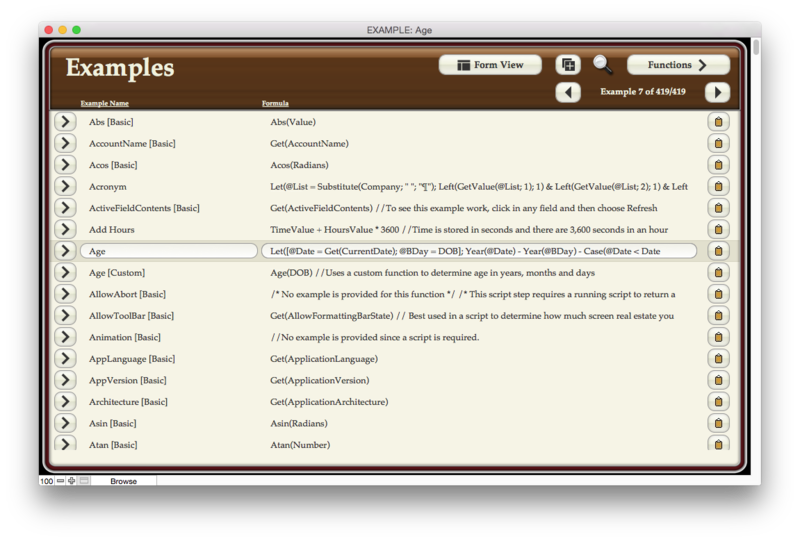 s Complex Calculations contains hundreds of the most widely-used calculation formulas for FileMaker Pro for beginner, intermediate and advanced developers. Even though it contains reference material, the purchase comes with the full access password so you can see how it was created! 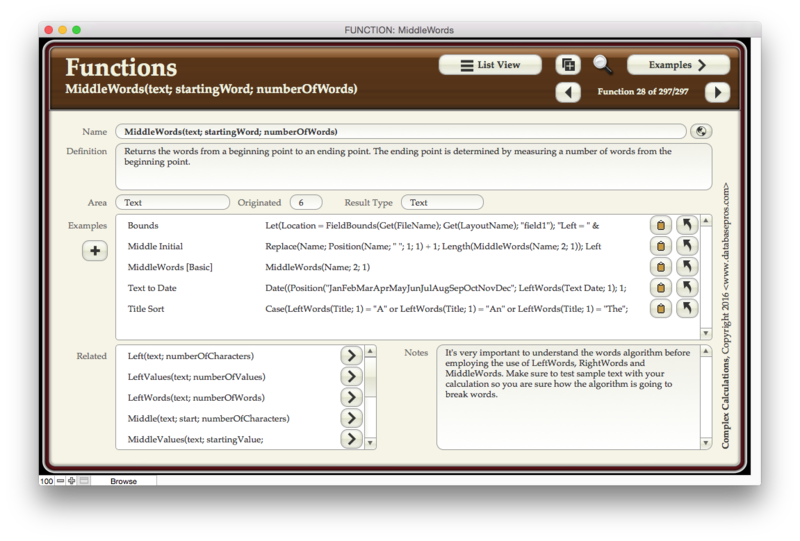 Complex Calculations contains hundreds of the most widely used calculation formulas for FileMaker Pro. These calculations were chosen for their complexity as well as their ability to solve a common problem. Even if you don't use all the calculations in the resource, you'll learn something interesting from every formula. New to Complex Calculations is recursive formulas. Over a dozen custom and recursive custom functions are included to help you understand how they work and to solve complex problems. 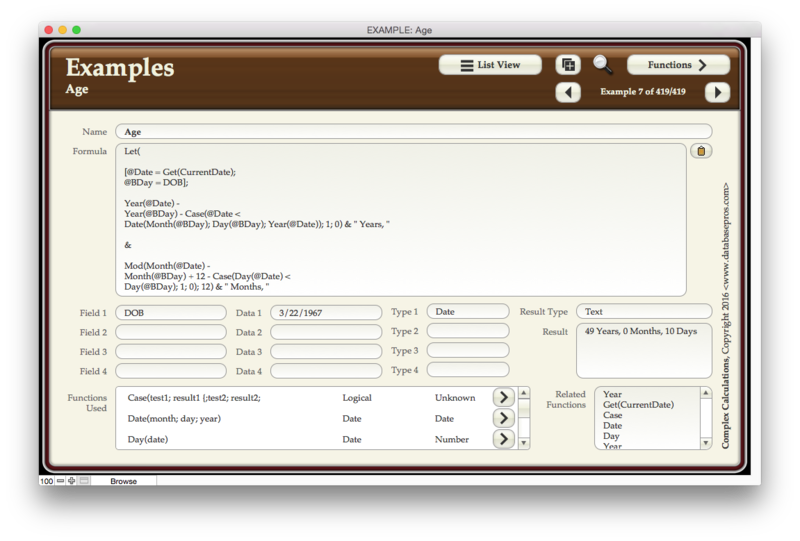 Complex Calculations now has over 100 beginner formulas if you are just starting with FileMaker Pro 7, 8, 8.5, 9, 10, 11, 12, 13, 14, 15, 16 or 17. 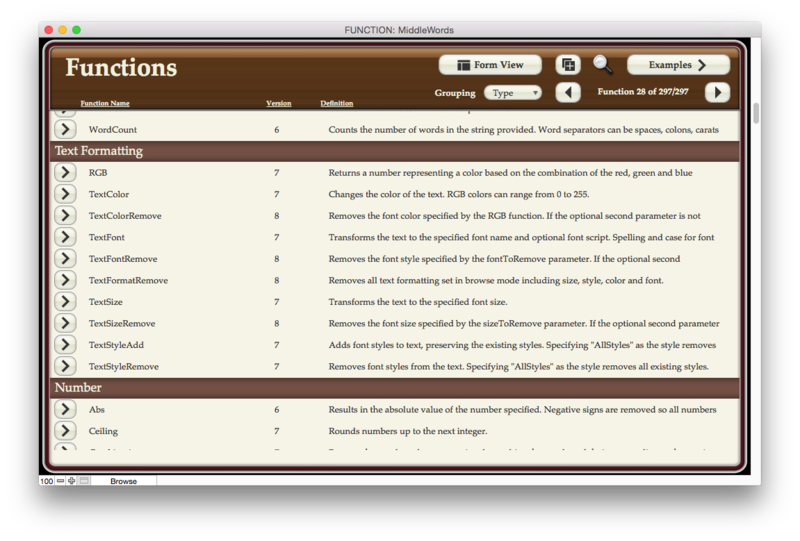 Beginner features also include definitions for every function. Another new feature in Complex Calculations is the ability to create formulas in browse mode. No more flipping back and forth between Manage Database and browse mode to see if the calculation is working. Even if you have FileMaker Advanced and the Data Viewer, the calculation creator allows you to quickly save the formula in your table for future retrieval, change the field references quickly and enter example data without visiting an example record. Download a demo of Complex Calculations below. Purchase Complex Calculations for $29.95 and receive all 419 formulas as well as the full access password so you can see how it was created. Download a demo of the Complex Calculations now!